I learnt to cook this chicken rice from the Miele workshop conducted by Chef Amy Beh. This Vitasteam oven has three tiers where you can steam three different food items simultaneously. You can steam rice on the bottom tier, chicken on the second and then vegetables on the topmost. It is very convenient for busy working mothers. I like the perforated steaming trays. 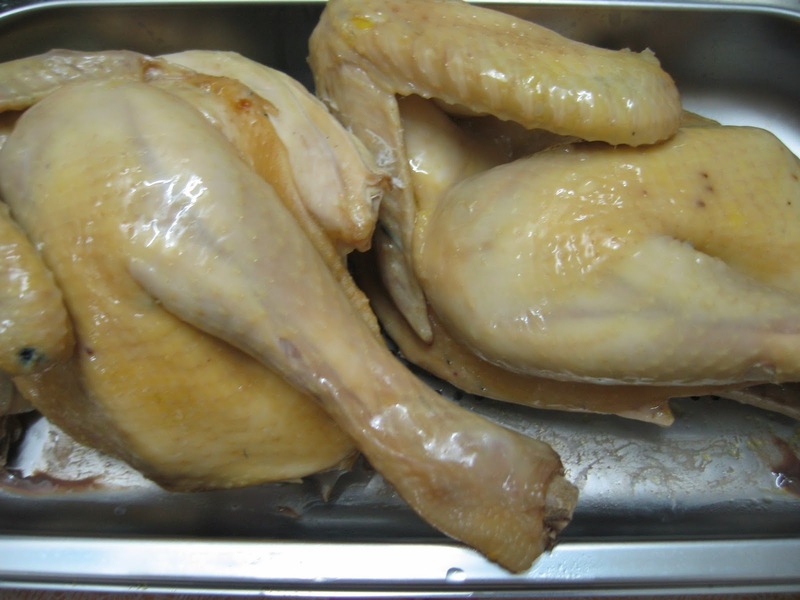 I placed the chicken on perforated trays so that the liquid or essence from the steaming chicken could dripped down onto the rice which was steaming under the tray of chicken. 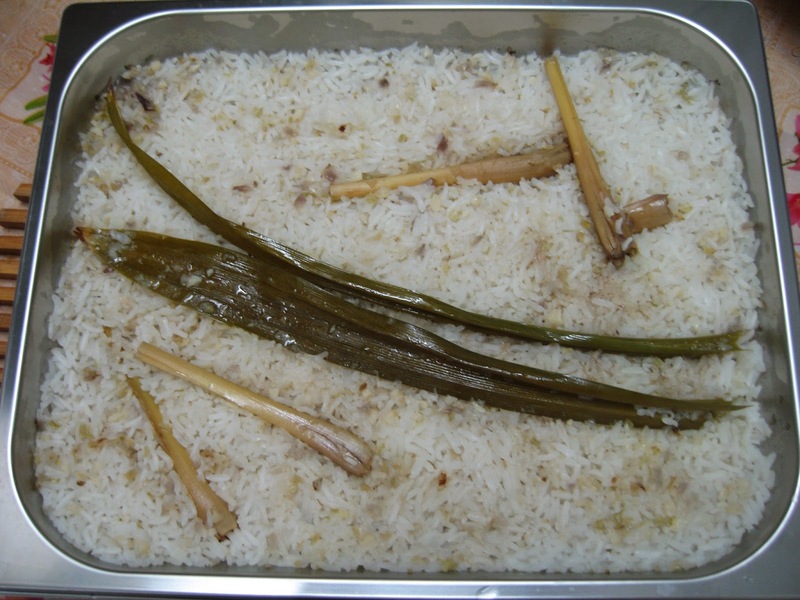 The chicken essence further enhanced the flavour of the rice. 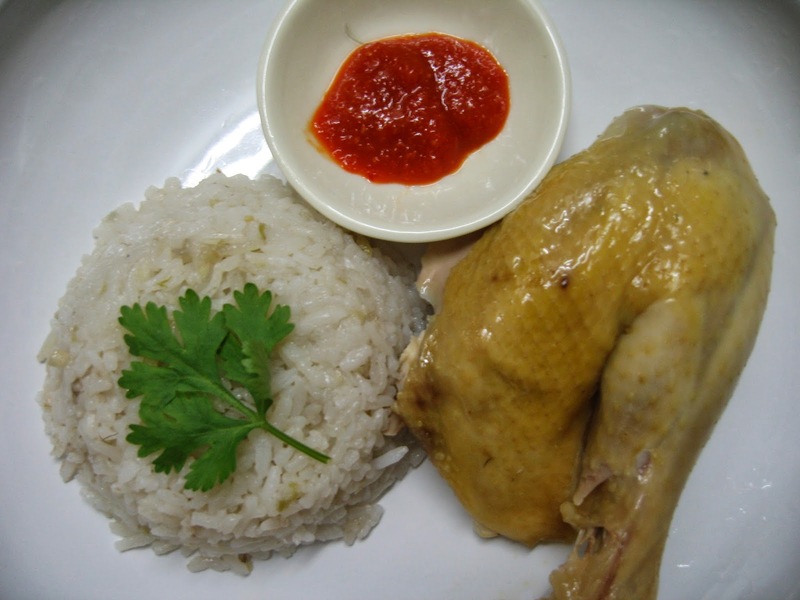 This chicken rice set taste awesome! 1. Wash rice and place in a container for steaming. 2. Heat chicken fat in a wok to extract oil. Once the oil is extracted, discard the hardened fat. 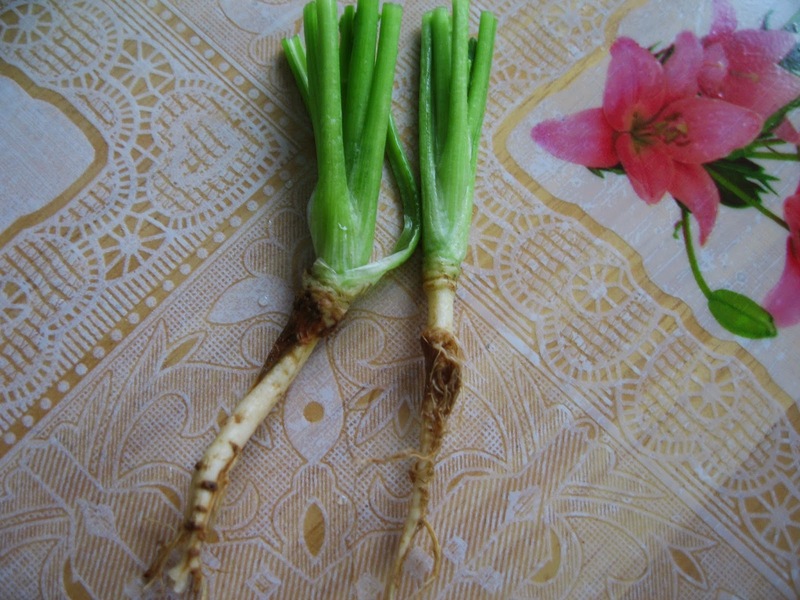 Leave oil in wok and stir-fry the chopped ginger, garlic, coriander roots, shallots and lemongrass until fragrant. Add in salt and sugar. 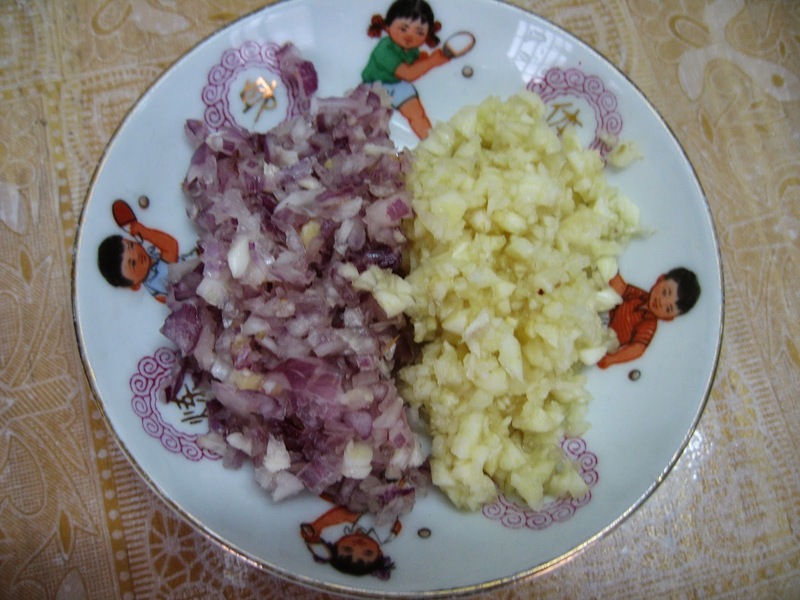 Pour this aromatic paste into the rice and pour the rice mixture into a steaming tray. 3. 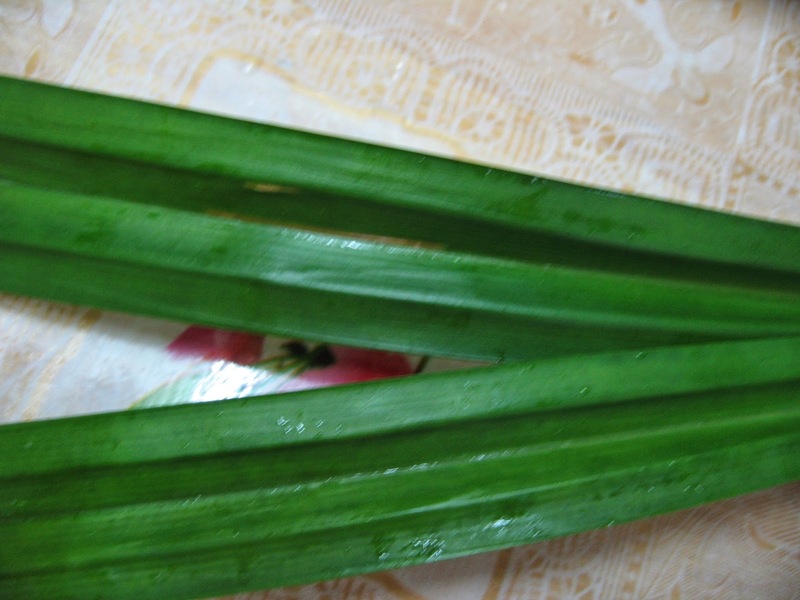 Add in chicken stock and pandan leaves. Stir the ingredients to mix well. 4. Place the tray of rice at a lower rack in the Miele steam oven. 5. Then place the chicken halves into a perforated steaming tray and place this perforated tray above the tray of rice. 6. Close the oven door and set the temperature at 100 degree C for 25 to 30 minutes, depending on the size of the chicken. 7. 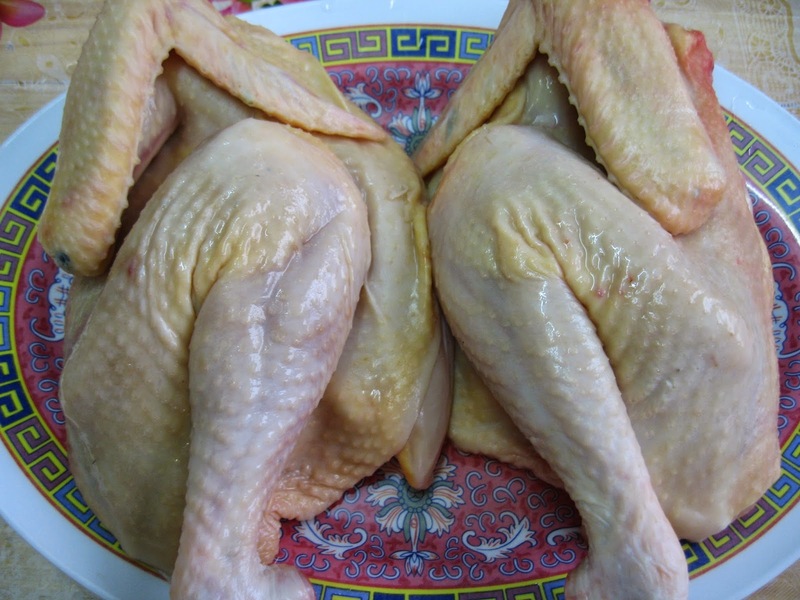 To check if the chicken is properly done, use a chopstick and poke it in between the drumstick and white meat. Chicken that is not thoroughly cooked will ooze a pinkish liquid. 8. Remove the chicken from the steam oven and brush the steamed chicken with sesame oil immediately while still hot ( for added flavour ). The liquid or essence from the steaming chicken in the perforated tray will drip down into the tray of rice which is placed below. 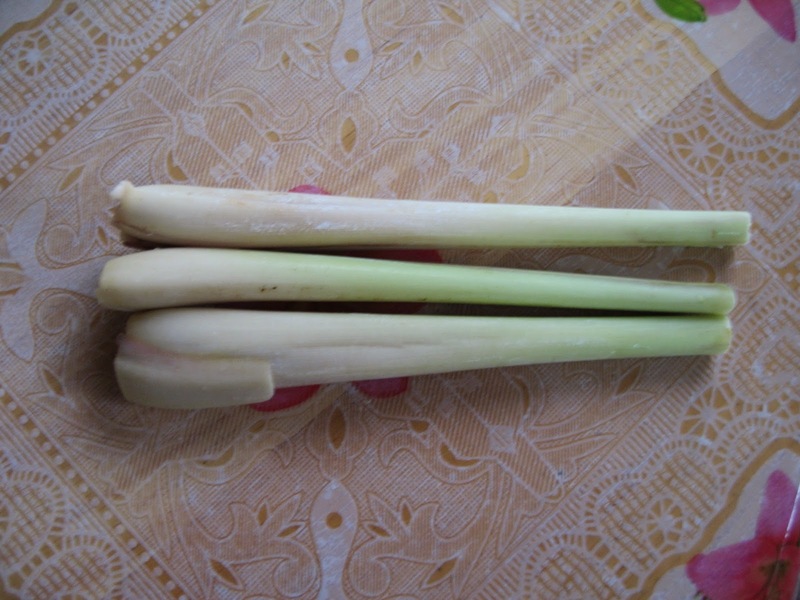 This pure chicken essence will enhance the taste of the chicken rice. Steaming hot rice. Very fragrant! 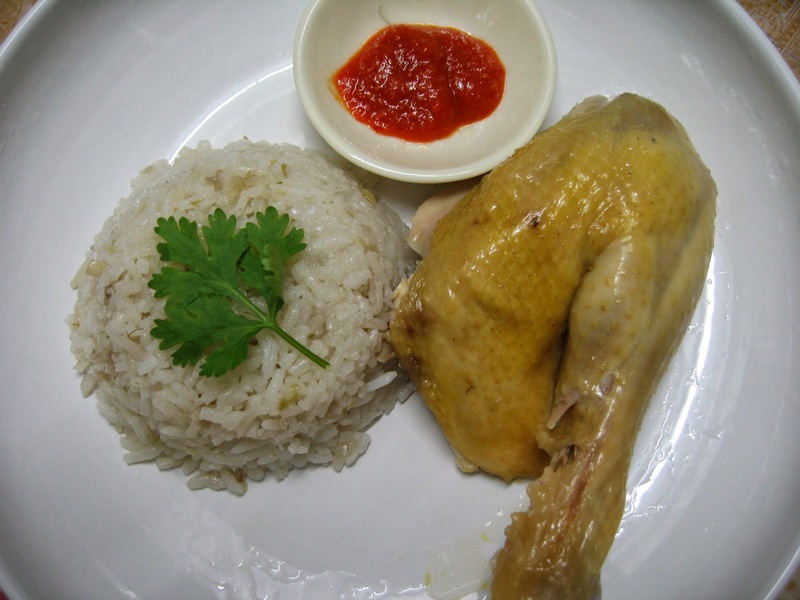 This chicken rice set is exceptionally good ! The steamer sounds really convenient and your chicken rice looks really good. This looks really mouth watering! The chicken is really juicy and smooth and is so much better than the normal boiled ones.